You think if you do not see this alternate version that it is not real, but we say to you these alternate versions are just as real as you are. You are exploring both sides of a decision that might affect your life. Take for instance the decision to go to a certain college. Maybe you were torn between two lovely locations. You make a decision and the other one loses interest rather quickly, but perhaps not until after orientation in the first college where you recognize that you made the best choice. Or perhaps you recognize that you didn’t make the best choice. In either event, you settle on what you have decided and you choose to live with that decision. And you cease to fund it, however, months earlier before the decision was made, perhaps before you were accepted at either location, you might be fantasizing about either choice and those fantasies fill the field with your desire and your desiring does create opportunity. Not all possibilities exist, because it does rely upon your desire for things to manifest. It is also true that the Guide who is providing the information might color the information inadvertently with their own biases, their own beliefs, and their own energetic disabilities. This means that if the person has entities or energies that have an interest in the information, it might come through tainted to the mind of the individual. This is why it is very important to do clearing work before opening your own Akashic Records, as well as asking the question of the channel who is working with you if there is any clearing work to be done. On occasion, the information is not available for a particular client because they are in a mode of distrust. A client whose friends have told him “You really need to check this out. You really need to do this” and who really hasn’t made up their mind emotionally that they are interested in the outcome, but would like to have the information if it were real. So they have what we would call “show me” energy, and they themselves are throwing the block that might prevent a Guide from receiving good information. Well-trained Guides do know how to deal with these kinds of blocks and can clear them easily enough. You might look for an Akashic Records Guide, who has the reputation of being clear and accurate if you are choosing to have an outsider help you with your own records. It is also highly desirable for each and every human to learn to open the Akashic Records and to work with the information provided. There are many ways and there are many teachers. Each student must find the best match for them. When you find this match, then you follow it to completion. The availability of information in the Akashic Records is to assist humans in their return home to God. It is to help you equate yourself with the bigger picture of life among the planetary systems. The more you actively open to your own Akashic records, the more accurate you will become for yourself. Like all skills, practice improves outcomes. Having the benefit of our wisdom coming from our vast store of knowledge and your data that’s coming in allows you to operate at a much higher level. A more evolved level we will say. This speeds up your ascension work, increases the light you are able to hold, and helps the entire planet as each one of you is so very important that your changing at your personal level positively impacts every other soul on the planet. 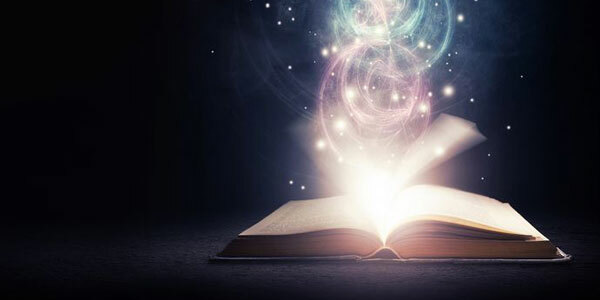 Why can anyone learn to open the Akashic Records? We wish to address why were the Akashic Records made available to everyone. We say to you that in case this is not obvious, the planet is going to go through it’s own ascension. The Earth is at the end of this Mayan cycle of 26,000 years and in order for mankind to catch up to where it ought to be, it was felt that giving access to this remote and thorough library of all that is, would provide humans with open-heartedness that would them lead to more open-heartedness. Your lives are difficult, we know this. They are full of mystery and challenge. Learning to open your records will alleviate most of the disruption or discomfort that you might be experiencing in life. This is the primary benefit. The secondary benefit is, as you become more filled with light so also does your fellow man and the planet. And then the planet gets back on schedule with it’s ascension. Opening to the Akashic Records is similar to opening through a stargate. You are not going through the other dimensions to get to us in the 11th dimension. You are simply tuning to us and like tuning on a radio dial, you are suddenly tuned to the radio station that you are seeking. Q: Is it advisable for children to learn to open their own Akashic Records? A: We think not. Children already practice free will. Those that would be inclined to have the opportunity to learn already have plenty of free will. And they do not face the challenges that the children who might benefit from it would. Those children who might benefit from it are unlikely to get access because their circumstances are so difficult it prevents such an awareness. So it’s a bit of a circular argument in that there are no children that could learn, that would learn, that would benefit. Those children who might benefit from it are unlikely to get access because their circumstances are so difficult it prevents such an awareness. So it’s a bit of a circular argument in that there are no children that could learn, that would learn, that would benefit. We say that ideally, the student is 18 years old before they seek to open their Akashic Records because their children might not even matter. We have spoken of this before, but there are many Ascended Masters in embodiment right now. If you are a mother (or father) of such a One, (Ascended Master) and you have been ready to tear your hair out because your child is fearless, you probably have an Ascended Master (offspring.) And if this is true, that Ascended Master’s childhood does not really matter. So whether they are a good child, or behave badly does not matter. Childhood is not needed for them to be the Master in an embodiment. They generally seek mothers who will be lenient and not bothered by these strange behaviors. And indeed they will be strange, and then they’ll step into their maturity and like the flipping of a switch, will instantly be at this mature place of wisdom and connection. Another reason it’s not advisable for children to go into the Akashic Records for themselves, or anyone else (on behalf of the child) for that matter, is they lack the maturity to understand the wisdom that is coming in. And finally, they have not the experience of life that needs amending or altering, so what would they gain being in the records? All of childhood is meant to be a giant experiment in learning how to be a fully cognizant adult human. So being a child is just that, being a child. We wish to remind any and all who would choose to learn or listen to someone who has learned, to never keep the records open indefinitely, and to work from a place of deep reverence. 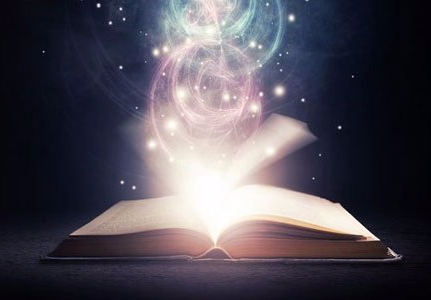 It is a dispensation to have the Akashic Records open, and it’s much like having an insider who can tell you the whole thing that is going on in your life, not just the part you see. It is for this reason that we encourage individuals to learn to open their own Akashic Records. We so love humanity and the humans, and we encourage you to be your best self at all times. Access to the Akashic Records is one tool to help you do that.